We cracked farm fresh eggs and seasoned them just right. Then we skillet cooked them so you get that homestyle omelet look – every single time. 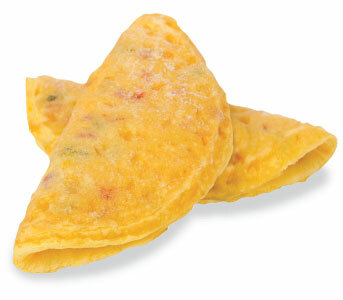 Re-heat and serve as is or stuffthem to create your own signature omelet. Store frozen at -18°C (0°F) or colder. Refrigerate thawed product at 4°C (39°F) or colder and use within 3 days. 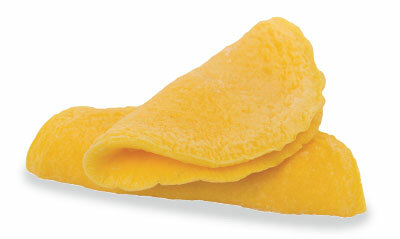 For best results, prepare omelets from a fully – or semi – thawed state. Heat to an internal temperature of 165°F (74°C). 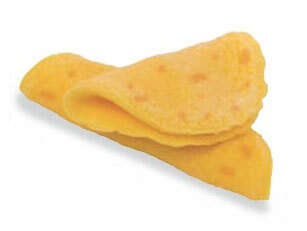 INGREDIENTS: Whole eggs, water, whole milk powder, soybean oil, modified food starch, salt, xanthan gum, citric acid. We cracked farm fresh eggs and seasoned them just right. Then we skillet cooked them and added real cheddar cheese, so you get the perfect, homestyle cheddar omelet – every single time. suitable for all types of food service operations – restaurants, cafeterias, health and long-term care, recreational facilities, etc. INGREDIENTS: Whole eggs, cheddar cheese [pasteurized milk, cheese culture, salt, enzymes, annatto (colour)], water, whole milk powder, soybean oil, modified food starch, salt, xanthan gum, citric acid. We cracked farm fresh eggs and seasoned them just right. Then we blended in shredded cheeses and skillet cooked them, for homestyle appearance and cheesy taste – every single time. 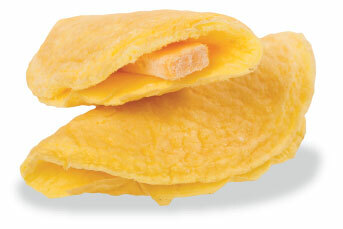 1Compared to other EggSolutions cheese omelets. INGREDIENTS: Whole egg, egg white, water, shredded cheddar cheese [cheddar cheese (milk, bacterial culture, salt, calcium chloride, colour, microbial enzyme) cellulose], shredded processed cheese [cheese, (milk, bacterial culture, salt, calcium chloride, lipase, microbial enzyme, colour), natural cheese flavour, modified milk ingredients, sodium phosphate, cellulose, lactic acid, salt, sorbic acid, citric acid, colour], skim milk powder, soybean oil, natural flavours, modified corn starch, salt, xanthan gum, annatto, citric acid. We’ve cracked farm fresh eggs and seasoned them just right. Then we blended in flavourful red & green peppers, onions and cheeses, and skillet cooked them to get that natural, homestyle look – every single time. INGREDIENTS: Whole egg, water, onions, red peppers, green peppers, processed cheese food [cheese (milk, bacterial culture, salt, calcium chloride, lipase, microbial enzyme, colour), natural cheese flavour, modified milk ingredients, sodium phosphate, cellulose, lactic acìd, salt, sorbic acid, citric acid, colour], soybean oil, whole milk powder, modified corn starch, salt, xanthan gum, citric acid. & 100% taste? Look no further. We separated the whites from farm fresh eggs and added seasonings and annatto – an all-natural, plant derived yellow food colouring. Then we skillet cooked them, omelet-syle, so you can cut the cholesterol without compromising on classic omelet appearance or taste. 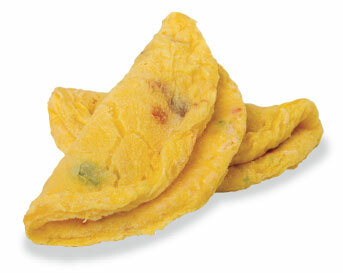 1compared to other EggSolutions® frozen omelets. INGREDIENTS: Egg whites, nonfat milk, modified corn starch, whey protein isolate, soybean oil, xanthan, gum, black pepper extract, natural and artificial butter flavour [soybean oil, butter (cream), lipolized butterfat and natural and artificial flavours], annatto (colour). We cracked farm fresh eggs and seasoned them just right. Then we added classic Western ingredients – ham, onions, diced peppers, real Cheddar cheese – and skillet cooked them, frittata-style, to get that smokey Western flavour – every single time. 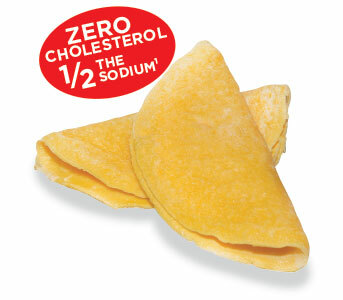 INGREDIENTS: Whole eggs, pasteurized processed cheddar cheese [cheddar cheese (milk, cheese culture, salt, enzymes), water, sodium phosphate, milkfat, sodium hexametaphosphate, salt, paprika and annatto (colour), powdered cellulose(to prevent caking)], water, pre-cooked ham – water added [ham, water, salt, dextrose, sodium phosphate, smoke flavouring, sodium erythorbate, sodium nitrite], onions, green peppers, red peppers, soybean oil, whole milk, modified corn starch, salt, xanthan gum, citric acid.